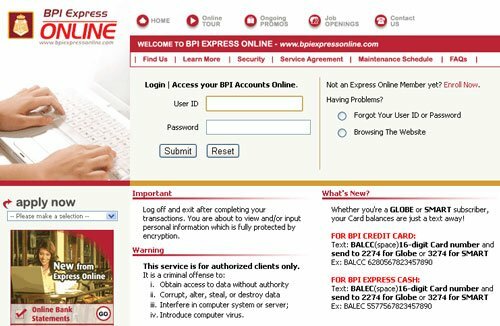 You may make online payments to Dragonpay-accredited merchants using your BPI Express Online (EOL) Internet or Mobile (M) Banking facility. But first, you have to setup your EOLM account to work with Dragonpay. 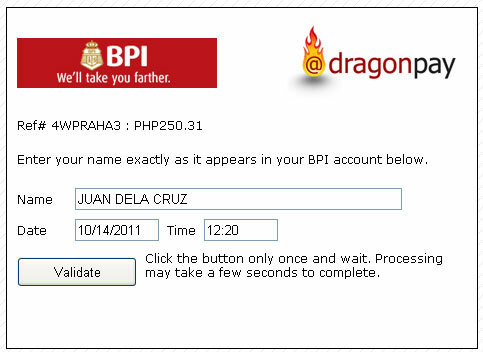 If you have a BPI savings or checking account, but do not have an EOLM account yet, or if you already have an EOLM account, but have not yet set it up to work with Dragonpay, please go through this step first. This normally takes about 1 to 2 business days. 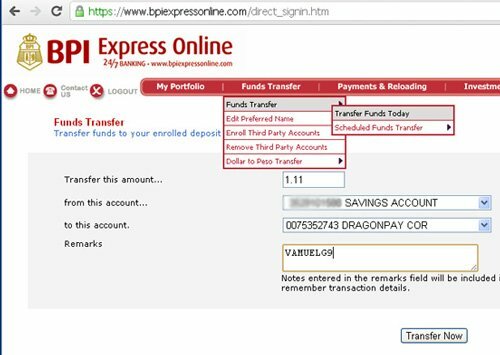 Once Dragonpay is enrolled to your EOLM account, you may proceed to login at http://www.bpiexpressonline.com. From the main menu, go to Funds Transfer >> Transfer Funds Today. 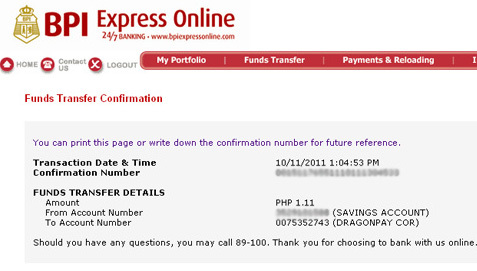 Choose your source account and select Dragonpay’s enrolled account (0075-3527-43). Enter the exact amount due (inclusive of the verification fee) and click the Transfer Now button. For BPI Express Mobile users, the flow may be slightly different. But the general process is the same. You just have to perform a 3rd party funds transfer to Dragonpay’s checking account. Note: If you do not see Dragonpay’s account appearing under the enrolled accounts, that means you have not completed the enrollment described in Step 1 above. Please go back to that step. If fund transfer is successful, EOL will display a confirmation page and send out an email to your account. You can keep this email in case there is a need for future reconciliation. Go to your Dragonpay email instruction and click the validation link in Step 2 of that email. Enter your name as registered with the bank, the date and time you performed the transfer, and click the Validate button to complete the payment cycle.